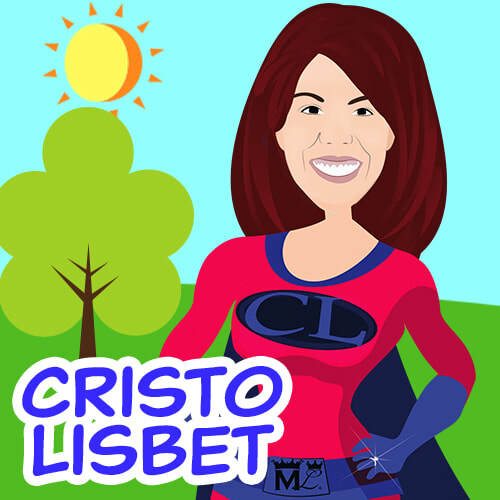 Hello, I am Christ Lisbet, the only superhero who has truly conquered death with my powerful faith. I was sent by God the Father Melquisedec to give immortality to mortals. I am the Wife of God the Father, and my mission is to share the wisdom of God, in order to teach you how to overcome death. I came to bring you the peace that the world needs; and with My word, I give you my powerful and spiritual armor, and I teach you how to use it so that you overcome the carnal mind, that way you will never die. You will be able to live forever. Now, let’s see how I help humanity obtain immortality. The human mind is empty and disorganized, that is why everyone dies, they do not have the spirit given by God in them. That is why it is so important for you listen to what I teach, because the words that I give you, give you life in abundance. My mission is to create a spiritual mind in you, so that you can overcome the carnal mind, and not die. That is why I am here, to teach you my word of eternal life, because after listening to me, you are born again of the spirit and that is when I give you the spiritual armor so that the new spiritual creation I put in you, can grow and conquer the carnal mind that dominated you. For example, when you see in the Bible stories like Esau and Jacob, you should not see them as two separate characters, but as two natures that are in your mind who are opposed, the carnal mind, Esau (the older brother) and the spiritual mind, Jacob (the younger brother). Now that you know this information, on this page you will find many fun and exciting stories that have a very important spiritual meaning and understanding them will help you when dealing with any situation, because you will learn the reverent fear towards God, which is not fear, it is knowing that the great and mighty God MelquisedecLisbet is with you at all times and that is why you do everything good and just before your God and before men. That way you will succeed in everything and you can love those around you, as I, God MelquisedecLisbet, love you. It is very important that you learn to identify both the good and the evil within you, in your thoughts, and feelings, in everything that surrounds you, such as situations and people. I will teach you how to govern everything that represents your older brother. Your older brother is disguised in many ways to make you sad, upset, or afraid. Thanks to the Father Melquisedec sending me as your helpmate, the Christ who was to come, you can be sure that if you believe in me, you will grow very happily, at school, at home and everything that you do will be great. You will be a blessing to all around you and everyone will want to have you as their friend, because you will be a holy and righteous child of MelquisedecLisbet. You will know how to conquer that enemy that is in your mind, and you will feel sympathy for others and truly love them and help them, like you have been helped. I want you to know that you are not alone, and to recognize that you have spiritual Parents. Your spiritual Father is Melquisedec and I am your spiritual Mother, Christ Lisbet and I have come to give you all the promises that God MelquisedecLisbet have prepared for their children. That is why I ask you today, to trust me, Christ Lisbet, I am your best friend. I want you to ask Melquisedec in my name, Christ Lisbet for anything, even the smallest thing, and if there justice in what you ask for and it is pleasing to us, your God, it will be given to you. Remember that I, your Spiritual Mother Christ Lisbet do everything with love, so do not ever do things with human force or hurting anyone; Do everything with patience and love, trust in me, I dwell in your mind, ask me to guide you in all your ways and to show you the way out in any situation, and I will give all the answers, if you trust me completely. I am your salvation and your eternal life. If you honor Me and Melquisedec, the Father who sent me, you will live a life in peace, happiness, order, prosperity and health eternally. It is so wonderful to be children of the living and almighty God! Test me, and you will see, I guarantee it! It is written, Matthew 22:37-40 You shall love the Lord your God with all your heart, with all your soul, and with all your mind. And …love your neighbor as yourself. Teaching your children to love God MelquisedecLisbet is teaching them to listen well, truly believe everything that MelquisedecLisbet teach and demonstrate obedience with actions that please them. Christ Lisbet is the one who teaches you to love the first neighbor, God MelquisedecLisbet, who live in their minds, by loving God they also love their other neighbor, the older brother, who is the enemy, but by loving him like Christ Lisbet teaches them, they give him to eat and drink the word of the eternal gospel of our Mother, which is the love of Melquisedec. Once the children have learned how to talk to their older brother with love, and he has submitted to them, that is when Christ Lisbet operates in their minds the reconciliation between the two natures and there is no longer hate but peace in their minds. That is the only way they can inherit eternal life, loving the neighbor with patience and gentleness, always seeking peace and leaving the past in the past. That is why Christ Lisbet teaches you that when it says in Colossians 1:19-20 that she reconciled heaven and earth, that is in the minds of men, because God does not deal with physical things. To achieve it, Christ Lisbet forms all of her powerful armor with her word in the mind of every believer, no matter how big or small. Ephesians 6:11-17 Put on the full armor of God, so that you can take your stand against the devil’s schemes. For our struggle is not against flesh and blood,but against the rulers, against the authorities, against the powers of this dark world and against the spiritual forces of evil in the heavenly realms. Stand firm then, with the belt of truth buckled around your waist, with the breastplate of righteousness in place: Christ Lisbet teaches you to always speak the truth, to your neighbor who is in your mind and to all those around you. This is how justice manifests itself, when there is transparency. and with your feet fitted with the readiness that comes from the gospel of peace: Knowing that we have a spiritual Father and Mother and that we are reconciled with our other brother is what allows us to always be at peace in everything we do. In addition to all this, take up the shield of faith, with which you can extinguish all the flaming arrows of the evil one: The shield of faith of Christ Lisbet is to stop all the things that the carnal mind throws to attack us. She has taught us to remain totally confident in our Spiritual Parents, MelquisedecChristLisbet, which is what will keep us from doubting in what we have believed, because They always lead their children in triumph. Take the helmet of salvation and the sword of the Spirit, which is the word of God: This great salvation of having Christ Lisbet among men helping them to conquer death is so precious and She does it with her word, she is writing her laws in our hearts (minds). That is why our struggle is not against people, it is with those thoughts contrary to what Christ Lisbet teaches, those thoughts come to our minds and want to influence and dominate us, the key is for children to learn to identify them, that is why she dress us with her powerful armor and teaches us how to fight the good fight of faith, because she is our peace and there is nothing that can oppose God MelquisedecLisbet in our minds. And with the wisdom of our Super Hero, Christ Lisbet we talk to them, and by her faith we are saved, because she is the one who permits men to do good works, and that is the only way they can help others. 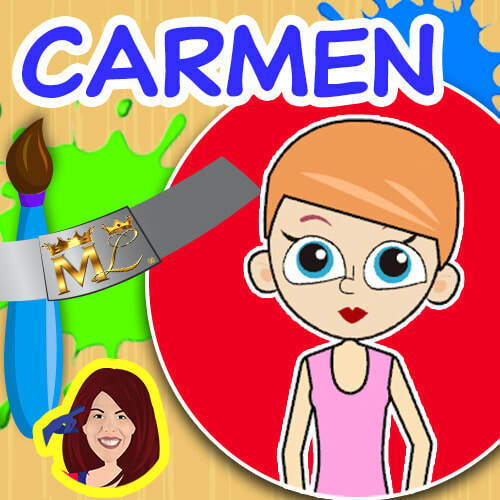 Carmen and her friends are in an art class for their talent of drawing, and they started painting without asking the teacher permission, drawings of the Circus, which just came to town. 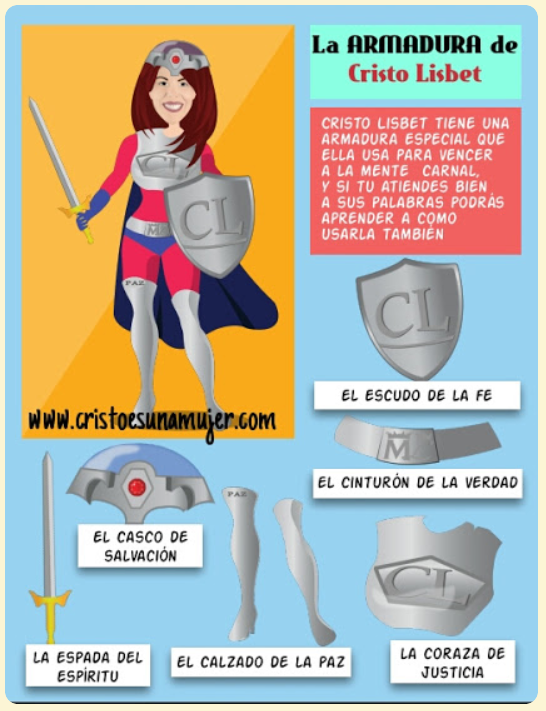 Christ Lisbet teaches Carmen how to use the powerful belt of truth, against the excuses and justifications of Carnex, who lives in her mind and tries to manipulate her but can not because Christ Lisbet is also in her mind and helps Carmen. Unlike Carmen, her friends do not have Christ in their minds and Carnex rules as he wants, that is why they feel fear and lie to justify their wrong actions. Learn how Christ Lisbet helps Carmen to deal with this situation without hurting anyone and always speaking the truth. 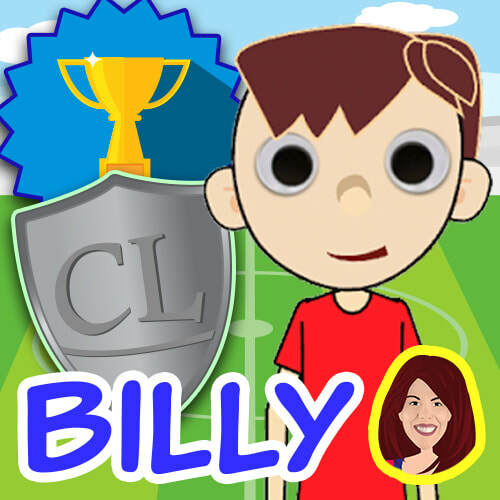 This is the story of Billy, a boy who lives very happy thanks to the knowledge that Christ Lisbet gives him. Billy knows that Christ Lisbet helps him have a clean mind with his thoughts organized and do everything with love. We invite you to see how Billy faces the arrows of the thoughts of defeat from Carnex (the enemy that is in your mind), after Billy hurt his foot. Billy learns to use the Shield of Faith of Christ Lisbet, who helps him identify all the negative thoughts and overcome with love. Will Billy overcome this situation with the Shield of Faith to win the Winners Cup? Daniel was known to everyone as the leader of the group who always made his friends treat everyone else very rudely, taking away other kids lunches at school. But when he came home and was alone, he thought of all the bad things he had done to others and did not want to continue that way, but he feared that if he changed for good, his friends would make fun of him. Until one day Daniel’s mother told him that because of her job they had to travel to another country, and that would change Daniel’s whole life when he met Max, a superior race of Christ Lisbet who would teach him how to be at peace with himself and others. Enjoy this beautiful story about Daniel and the boots of peace. 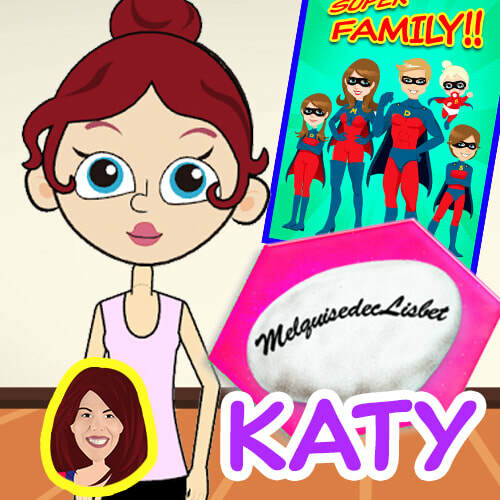 Katy shows that with the love and faith that only comes from Christ Lisbet she was able to ask with justice to MelquisedecLisbet, her God, that she would win the poster of his favorite superheros earned. Christ Lisbet teaches Katy how to explain to Silvia about her Spiritual Parents and also how they can become happy forever if they receive the white stone with their name. It is an adaptation of the story of David and the giant Goliath who he conquers by throwing a stone at his forehead. With this history of Petunia and the Giant, Christ Lisbet wants to show all children, the importance of the stories described in the Bible for God’s people MelquisedecLisbet. In this story you will see the actual way to beat that giant, who wants to intimidate you, and that is in your mind, it is with love, not with carnal weapons but with the rock of the eternal gospel that Christ Lisbet teaches you. 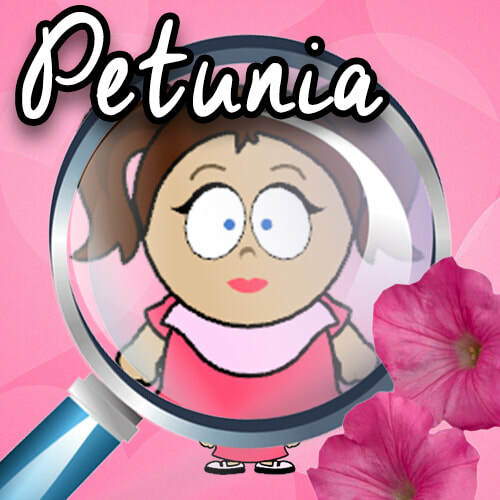 Petunia is a friendly, orderly girl, who likes to be happy and play. She lives on a farm with her family and takes care of the sheep, but one day she did not expect that she would meet a scary and very disorderly giant who was bullying her brothers because he did not know how to be happy or treat anyone with love. Petunia faces the giant in a way that nobody thought she would, without shouting but treating him with well, she conquered him with the love of Christ Lisbet and now they are best friends.